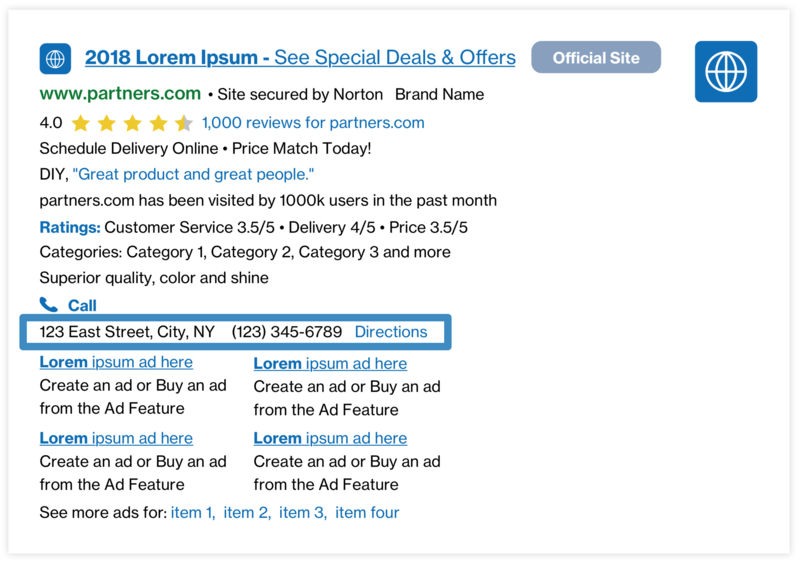 Local Ad Extensions are utilized so if a user is near an advertiser's business location, extended local attributes can be added to the ad to increase interest. This can include the address and phone number of the business. Advertisers can provide multiple business locations as "Location Extensions" at the campaign level, and each business location can have an individual phone number. Results: Some Partners have seen an estimated lift of +5-6% CTR. Results may vary. "LocalAds=LocalOnly" is obsolete, but will return the same as "Mixed." Related Case Study: Learn how our Partner, Barefruit, used Local Ad Extensions to increase CTR by +11% and increase RPM by +12% here.